In an era of rapid scientific and technological innovation, finding new and engaging ways to bring science to mainstream audiences is a necessity. 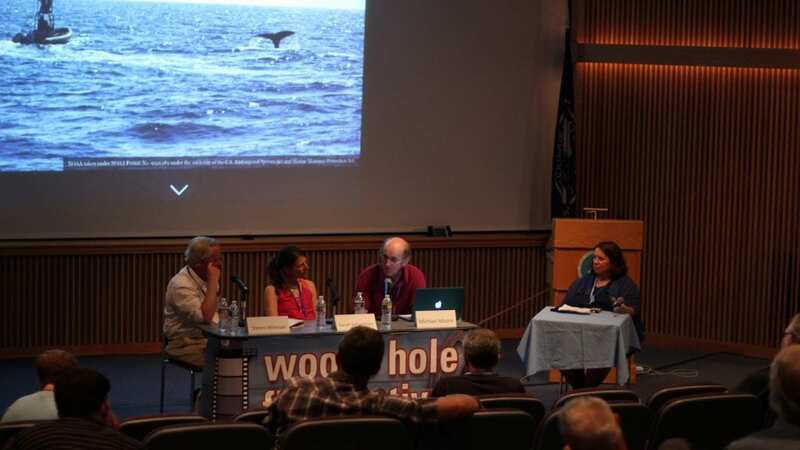 This summer, the Wood Hole Oceanographic Institution (WHOI) is teaming up with the Woods Hole Film Festival (WHFF) for Q&A panel discussions that highlight scientific advances and expand creative storytelling about scientific subjects. 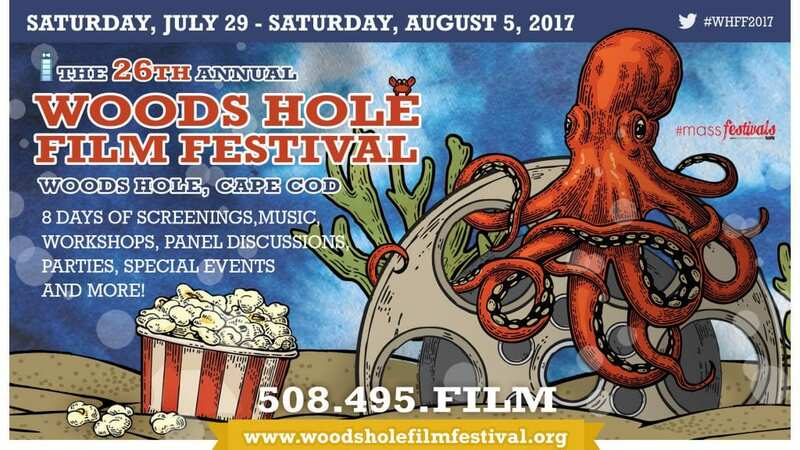 ”Films are a powerful avenue for communicating scientific advancements to the public, and we’re pleased to take part in this year’s Woods Hole Film Festival,” said WHOI President and Director Mark Abbott. On Saturday, July 29, at 2 p.m. in Redfield Auditorium, WHOI scientists Anne Cohen and Simon Thorrold will field audience questions following the feature-length film, “Chasing Coral,” which examines why coral reefs around the world are vanishing at an unprecedented rate. Cohen, whose lab conducts research on reefs in the Caribbean, the equatorial Pacific, and Palau, examines how climate change affects corals’ ability to build their exoskeletons. Thorrold is a biologist who studies coral reef ecosystems to understand the dynamics of fish populations, which are under pressure from human exploitation and climate change. On Sunday, July 30, at 2 p.m. in the Woods Hall Community Hall, WHOI scientists will join screenwriters and film directors for a one-hour panel called “Science and Storytelling in Film“. Together they will explore questions such as: How can filmmakers and scientists collaborate more effectively to tell exciting and scientifically accurate stories? As scientific discovery breaks new ground and expands our understanding of this world and worlds beyond, how do we communicate these discoveries to a wide audience? What models exist for establishing mutually beneficial partnerships between filmmakers and scientists? WHOI marine radiochemist Ken Buesseler, director of the WHOI Center for Marine and Environmental Radioactivity, and Julie Huber, a microbial oceanographer at WHOI, will share their experiences of working with filmmakers and via shipboard telepresence events to communicate their science from sea. Oceanographer David Gallo, who retired from WHOI in 2016, will also share his experiences working with dozens of filmmakers over his long career at WHOI. Other panelists include screenwriters Nora Kay Foster (Heroes, American Odyssey), Doug Jung (Star Trek and Beyond), and filmmakers Josh Seftel (NOVA’s The Secret Life of Scientists and Engineers) and Michael Barnett (The Mars Generation). The panel will be moderated by Emily Dell of ScreenCraft, a screenwriting education and talent discovery platform, and a panel sponsor. New media technologies for virtual and augmented reality will be the focus of a second panel on Friday, August 4, at 3 p.m. at the Woods Hole Community Hall. “The Next Storytelling Frontier: Accessing New Realities with Emerging Technology” will include Bill Lange, director of the Advanced Imaging and Visualization Lab at WHOI and a pioneer in undersea imaging techniques. MIT Open Documentary Lab Director Sarah Wolozin will moderate the panel, which also includes Rus Gant of the Harvard University Visualization Research and Teaching Laboratory, and Jakob Kudsk Steensen, who was part of the team behind the virtual reality film “Tree”. 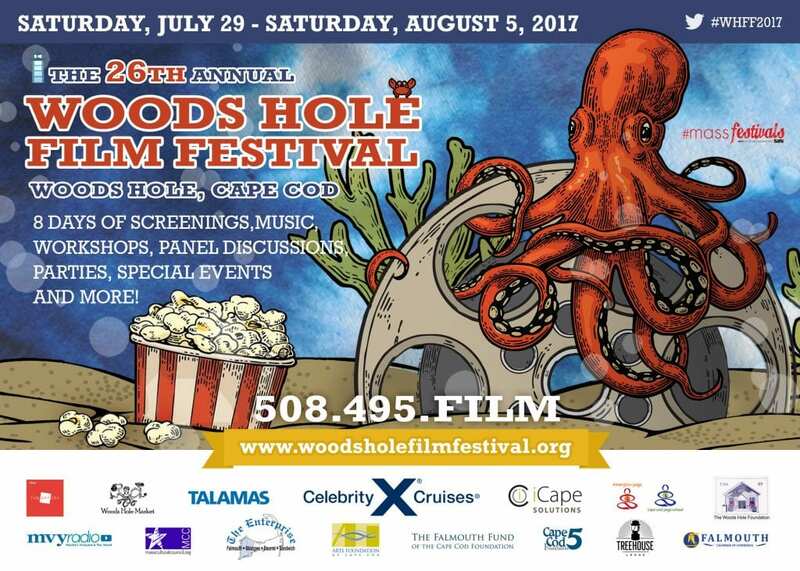 Please visit Woods Hole Film Festival website for more information or for ticket prices and registration.